Hi there, it`s Tracey back again today with a fun and colourful card for Easter! To make my rainbow Easter Eggs I started off my blending a rainbow on to a panel of Bristol Smooth cardstock using some Easter coloured Distress Oxide Inks! I used Candied Apple, Spiced Marmalade, Twisted Citron and Peacock Feather. I blended the colours together on my panel making each colour about 1 1 /4" wide. 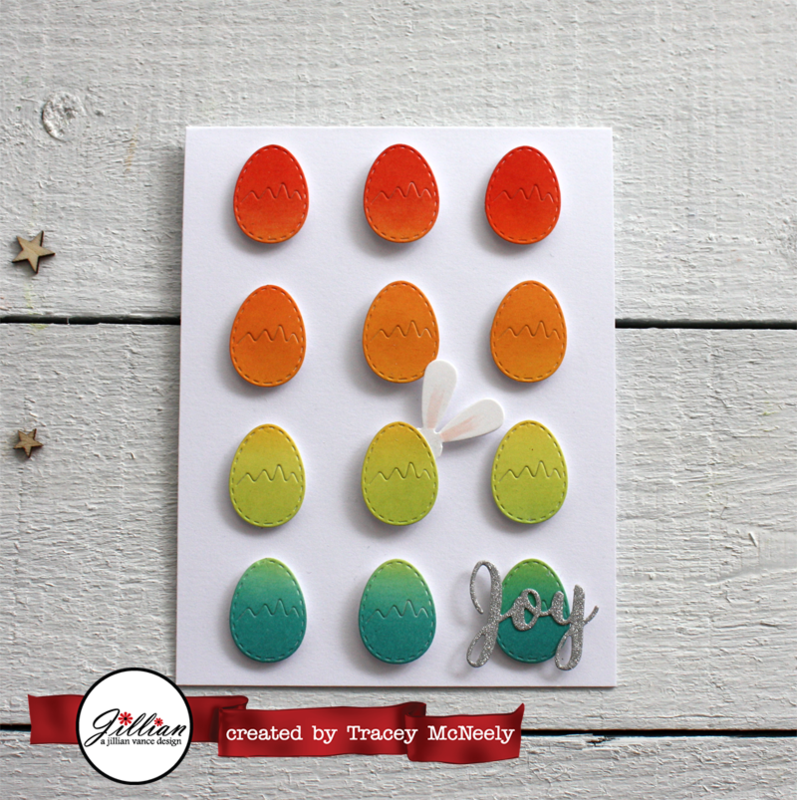 Once the panel was dry I die cut three eggs from each colour using the Cracked Egg Die Set slightly over the blend line to add some interest! 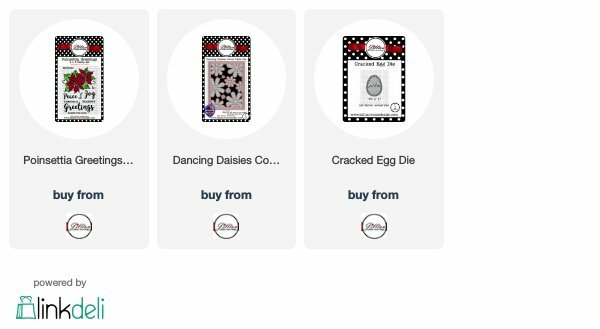 Once again I used the Dancing Daisies Cover Plate die to created a set of bunny ears peaking out from behind one of the cracked eggs! I finished my card off with the Joy sentiment from the Poinsettia Greetings stamp set. 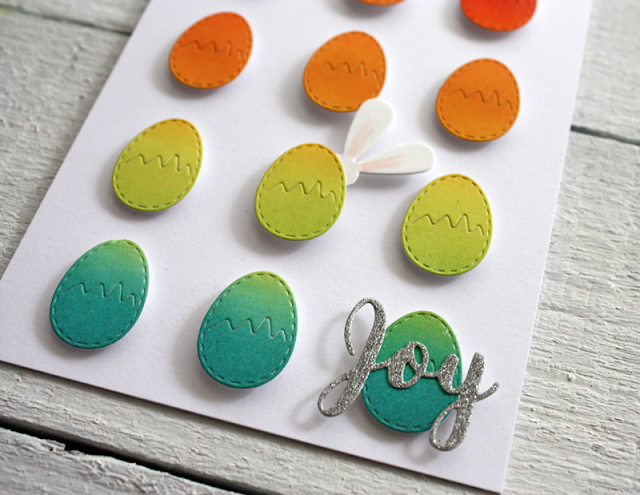 I stamped the word joy and cut it out with my Scan N Cut. Love the colors of your Easter eggs, the look dyed! And those bunny ears are just the cutest! Love this, Tracey! Fabulous coloring on your eggs and I adore the sweet bunny ears peeking from behind!